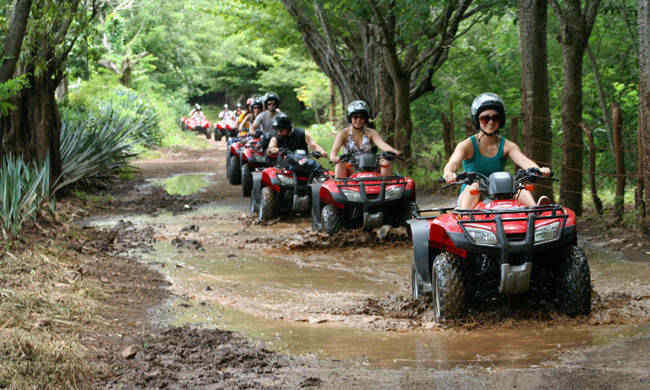 Explore the Costa Rican mountains and get to see some amazing waterfalls during the ATV Tour in Manuel Antonio. The ATV Tour is filled with adrenaline and wether its your first time driving an ATV or you are an experienced rider, there are all types of ATVs for you to choose from. There is a waterfall during the excursion that you get to explore and swim. The price for a single ATV is $105 and $135 for a double.